Everyone wants smooth, tight, firm skin – it is an accepted part of looking healthy and youthful. As you age, your skin’s collagen and elastin simply break down faster than your body can rebuild them, causing your skin to lose elasticity which often leads to wrinkles and pockets of loose sagging skin. Unfortunately for women menopause accelerates this ageing process. – Wrinkles around the eyes. – Reducing early signs of eye bags. – Lifting early signs of sagging jowls. – Tightening saggy arms and thighs. – Tightening large areas around the tummy. – A great treatment for needle phobic patients. – A great treatment for patients who do not want any swelling or bruising. – This is a comfortable and relaxing treatment. – You need a course of 6 treatments – 1 every 2 weeks. – Results are progressive and will continue to improve for up to 6 months after treatment. – To maintain results you should have an individual treatment every 1-3 months. – A consultation is required prior to booking a course. The treatment is for Acne and Congested skin. 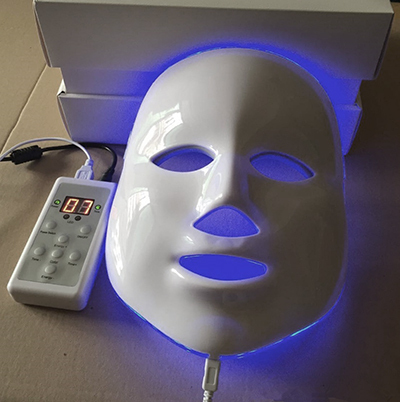 The Blue Light treatment has powerful, anti-bacterial properties, that decongest and purify acne and problem skin, which helps to normalise sebum production. The Blue Light also promotes calming and relaxation. This treatment is for Skin Rejuvenation, Anti-Ageing and Healing. Red Light is beneficial for all skin types and has anti-ageing and anti-inflammatory effects on the skin. 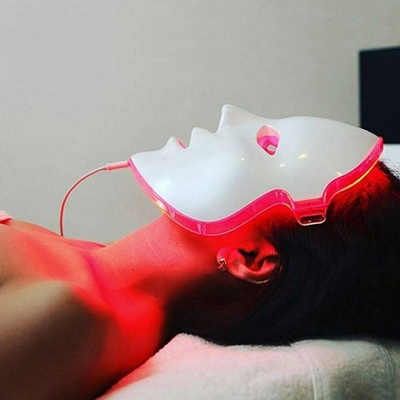 The LED red light has been proven to stimulate the production of collagen and elastin, improving skin texture, whilst increasing circulation and lymphatic drainage.